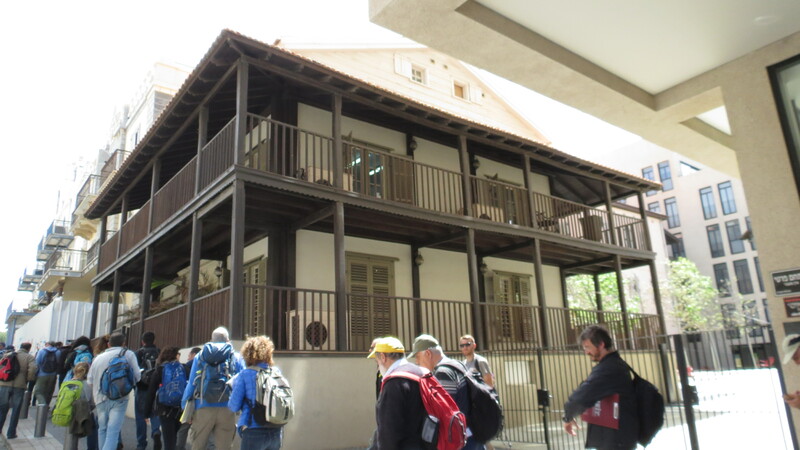 Imagine, in 1966, one year after the American Civil War ended, a group of 157 Christians members of the Church of the Messiah, men, women and children decided to emigrate and settle in Jaffa and to build pre-fab wooden homes! This is the genesis of the American-German Colony. Most of these American idealists left after only two years. 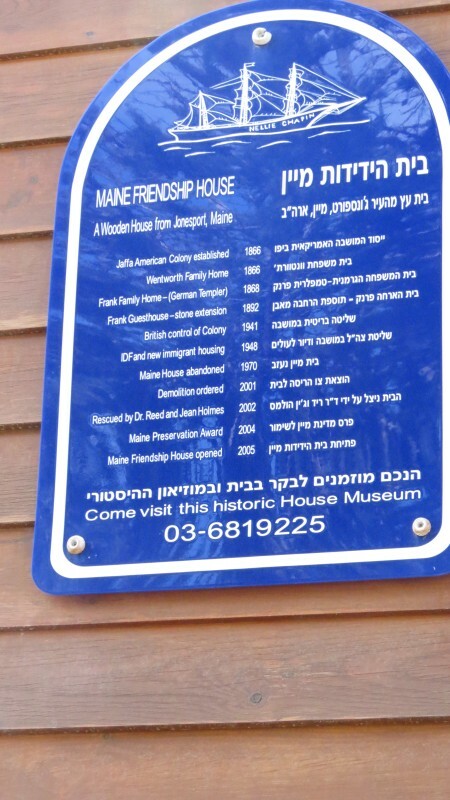 Maine Friendship House, Auierbach St. Most of the properties of the unlucky group from Maine were purchased by the German Templers (Die Tempel Gemeinde or Tempelgesellschaft), who planned their emigration in a strict and proper German manner. 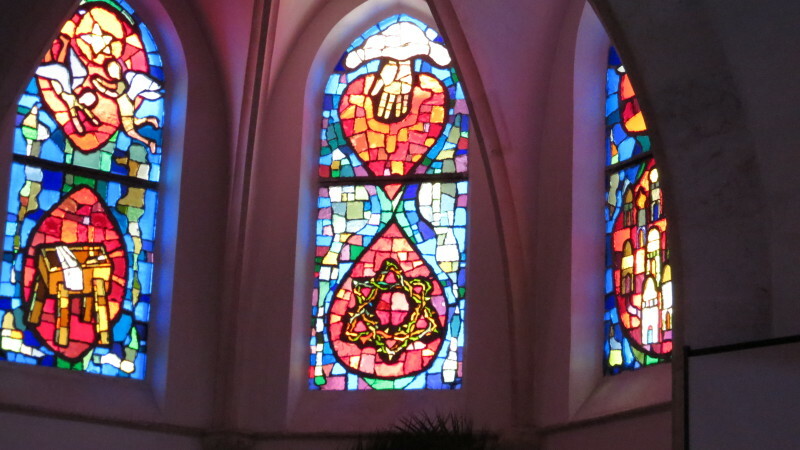 The Templers broke away from the Lutheran church in 1858 because they aimed to realize the apocalyptic visions of the prophets of Israel in the Holy Land. Immanuel House Hostel changed hands often and dramatically. 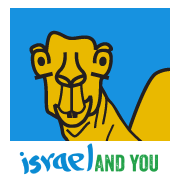 Today Beit Immanuel is a community of Messianic Jews and Gentiles. 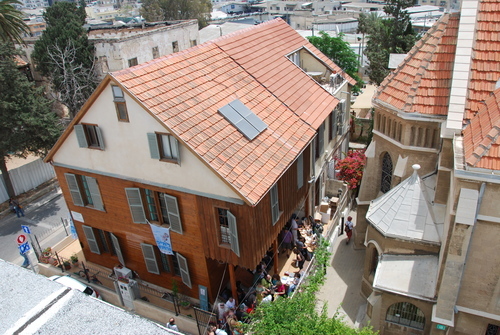 A Hebrew speaking congregation of Messianic Jews and Arabs worship at the site. 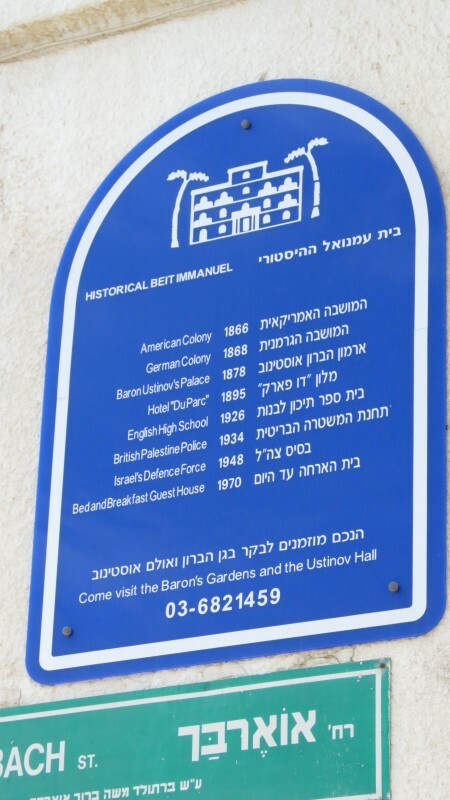 In 1878 the Russian born Baron Plato Von Ustinov, a Bible believing Protestant Christian and the grandfather of actor Peter Ustinov, who purchased Beit Immanuel. Baron Ustinov provided medical care to some of the First Aliya immigrants. Part of this building became the Hotel du Parc operated by the Ustinov’s second wife. 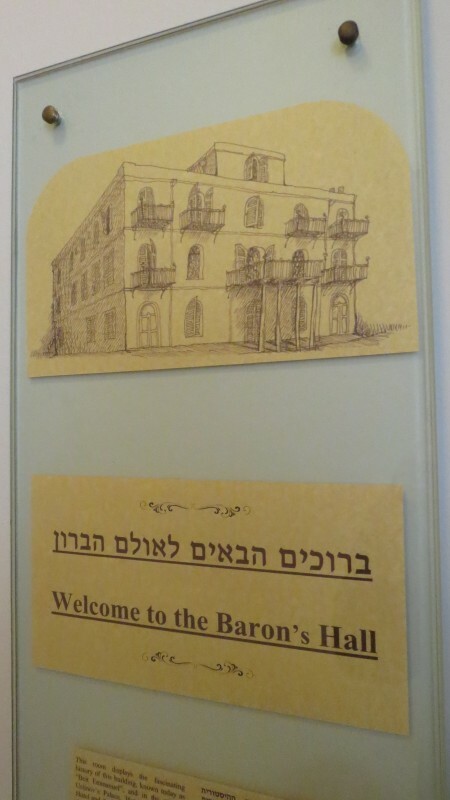 German Emperor Kaiser Wilheim II stayed here on 27 October 1898 while on his visit to Jerusalem. 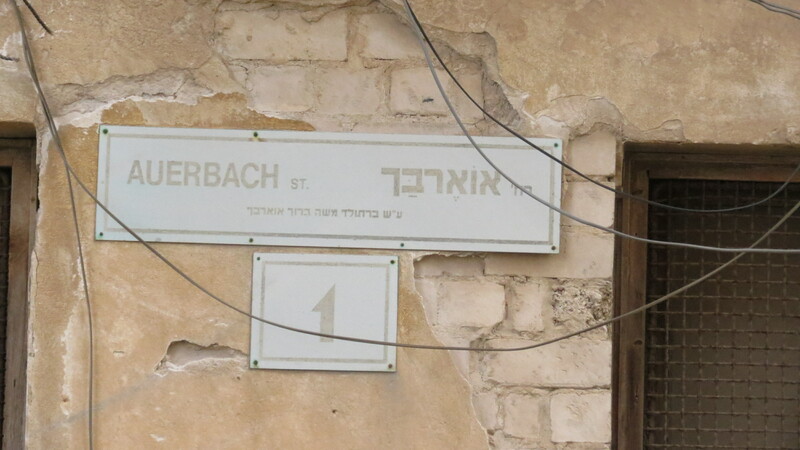 On the west side of Auerbach St. is the Jerusalem Hotel. 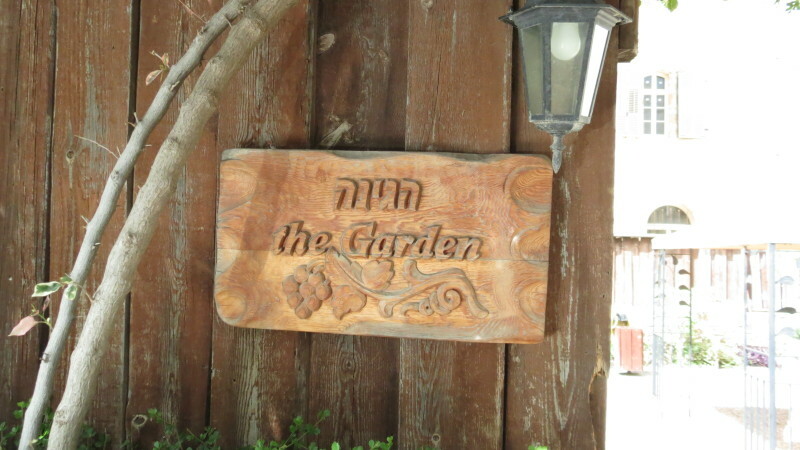 Just beyond it is one of the wooden American houses that was purchased in 1867 by the LJS (London Jews Society – a missionary group) and became the centre of their activities in the city under to the direction of Moritz Hall, a Jewish believer in Jesus, who managed the missionary activity in the German Colony and also aided Jewish First Aliya immigrants. Moritz was the proprietor of the Du Parc Hotel – so named because of the adjoining Baron’s Garden. 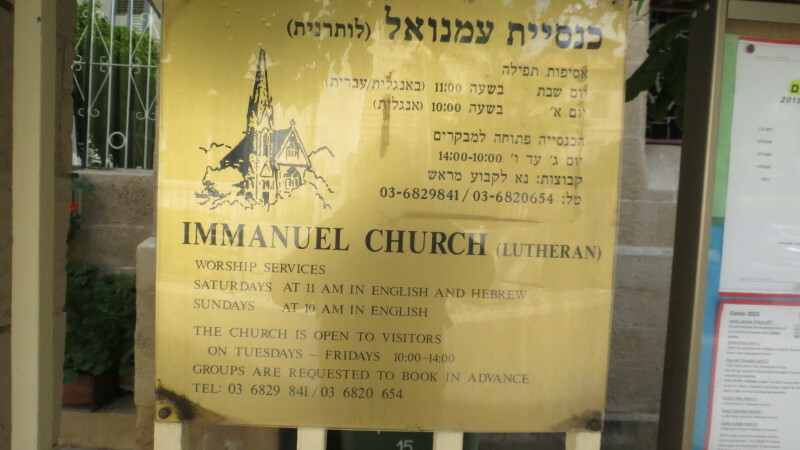 The London Jews Society (LJS) eventually became the Church Ministry to the Jews (CMJ). 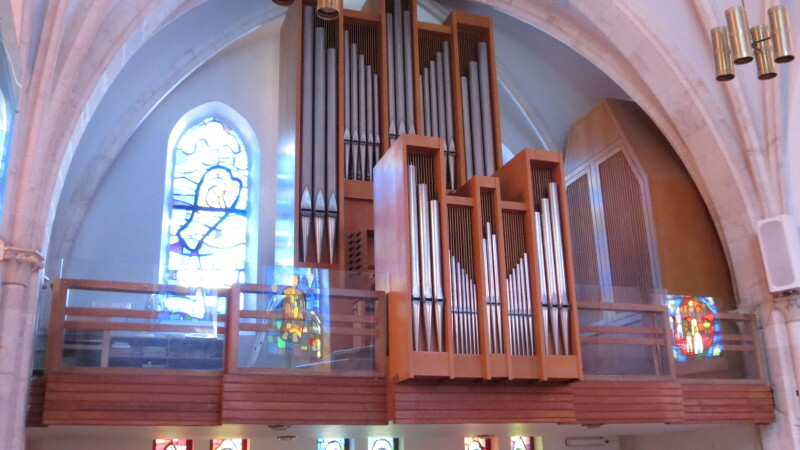 In a previous post in our Hebrew Blog “Hoshvilim” titled Immanuel Lutheran Church, Tel Aviv-Yafo we showed impressive videos of the church’s organist, Juan Onansis, playing church liturgy on the Immanuel Church’s organ. In my last visit, around Easter 2015, Juan told me that his hands are too shaky to play any more. He showed me the cane that he uses now. 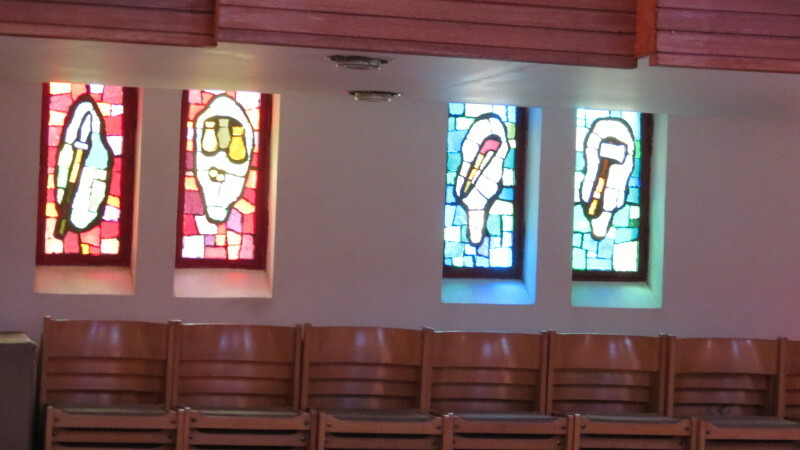 You can still meet this wonderful man in the Immanuel Lutheran Church. 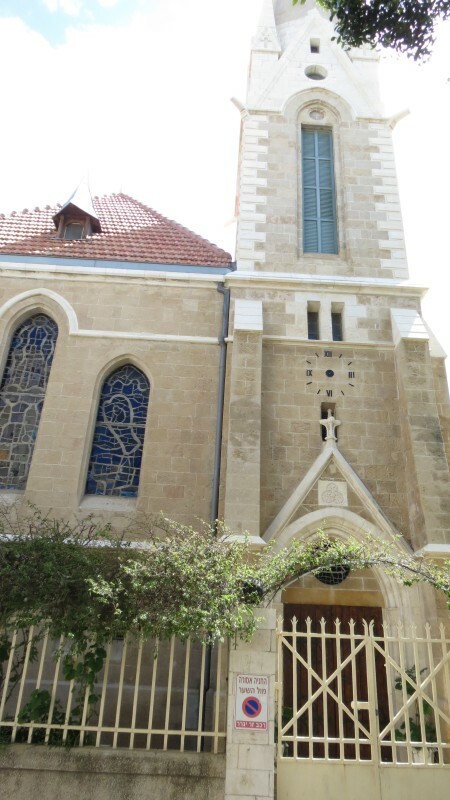 This church was originally built in 1906 as the German Templer Church. 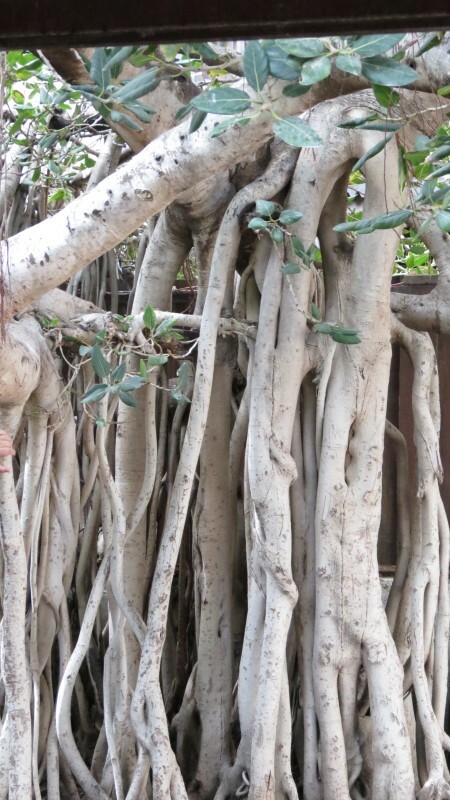 Since the Templers living in Jaffa were Nazi sympathizers they were deported by the British to Australia. 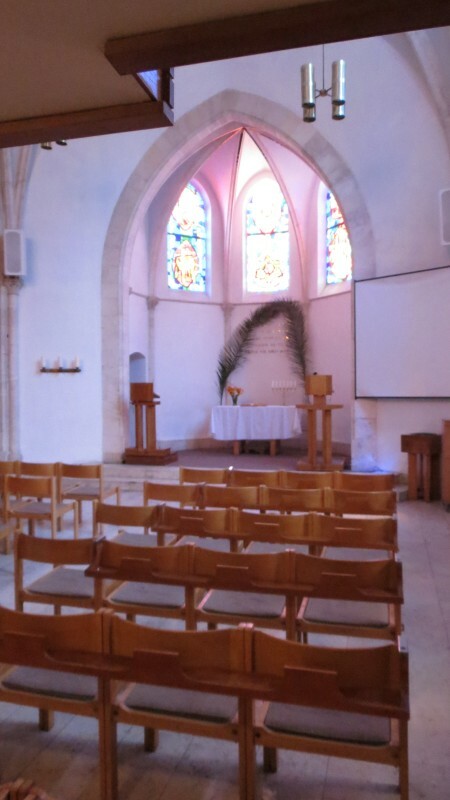 During WWII the church was used by the CMJ Church Ministry to the Jews (previously the LSJ) of Beit Immanuel. 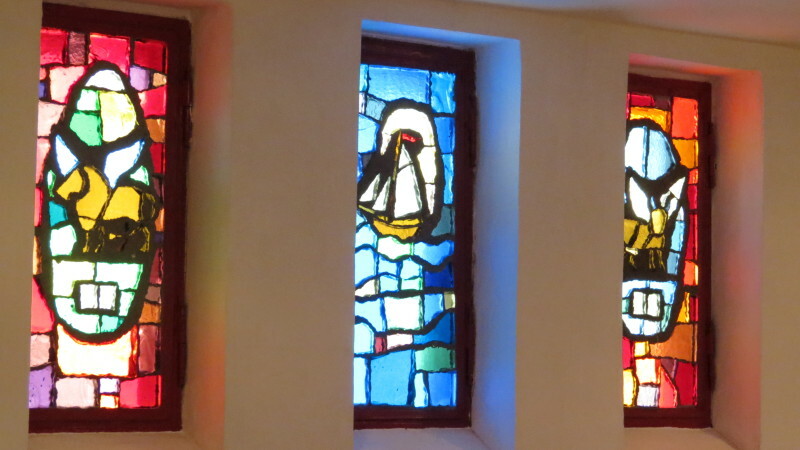 Since 1955 it has belonged to the Norwegian Lutheran Church, an Evangelical Lutheran church. If you are curious to hear Juan Onansis playing, click this link. 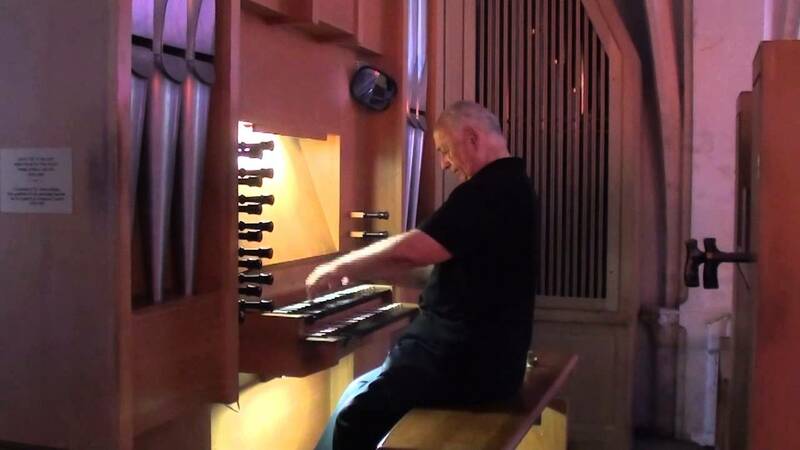 Unfortunately he can no longer play the organ. What a shame.